After the candy binge, RADIUS knows you’ll need a tool to deal with the Halloween “hangover” on your children’s teeth. This year, RADIUS recommends a more responsible way to trick-or-treat and avoid the Halloween hangover by treating your trick-or-treaters to a Radius toothbrush instead of the clichéd chocolate, gummies and crunchy candies that rot teeth. RADIUS knows that fighting with your children to brush their teeth is not fun, especially when they are in a candy coma. However, RADIUS’ selection of colorful, fun and more comfortable brushes means they will be actually looking forward to brushing their teeth, instead of dreading it. To support responsible trick-or-treating and help ease the pain of the Halloween hangover, RADIUS is offering a special online deal during the month of October – with the purchase of four six packs of RADIUS Pure Baby, Totz, Kidz or Scuba brushes, receive a fifth six pack for free. RADIUS six packs cost $16.75 for Pure Baby, $17.71 for Kidz, $16.75 for Totz and $38.16 for the Scuba. RADIUS Kidz: A mini-sized version of the Original RADIUS, the RADIUS Kidz offers even softer bristles for children’s sensitive teeth, a wide head, thumb grip and comfortable handle to makes brushing teeth fun and easy for all kids. Children are no longer fighting. The RADIUS Kidz, designed for children 6 years old and up, has become the fun, cool and effective way for kids to brush teeth. The Kidz is accepted by the ADA. 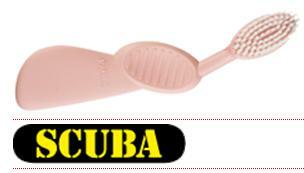 RADIUS Scuba: Ideal for harder brushers and for those who wear braces, the RADIUS Scuba’s flexible rubber neck and non-slip handle reduces pressure, while the wide oval head and 300% more bristles than ordinary toothbrushes leaves the mouth clean and healthy. Available in a variety of fun colors, the Scuba is also ADA accepted and available for both right- or left-handed users and children 12 and up. · In addition to a fun toothbrush, consider purchasing other non-food treats for those who visit your home, such as coloring books or pens and pencils. 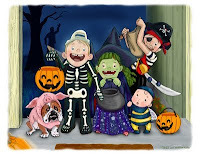 · Ration treats for the days following Halloween. For additional information on RADIUS, please visit http://www.radiustoothbrush.com/. ABOUT RADIUS RADIUS is a 26 year-old family-owned consumer products company. It is a leading designer, manufacturer and marketer of specialty toothbrushes and complimentary products, including toiletries’ travel cases and floss. RADIUS is a leader in the natural products industry in personal care and is renowned for its combination of innovative designs, premium materials, and eco-conscious manufacturing that redefines ordinary personal care products with the goal of enhancing the quality and enjoyment of everyday routines. The company is vertically integrated, designing and manufacturing all of its products in-house, with parallel goals of promoting energy-efficient manufacturing and a focus on a clean and cutting-edge design presence.